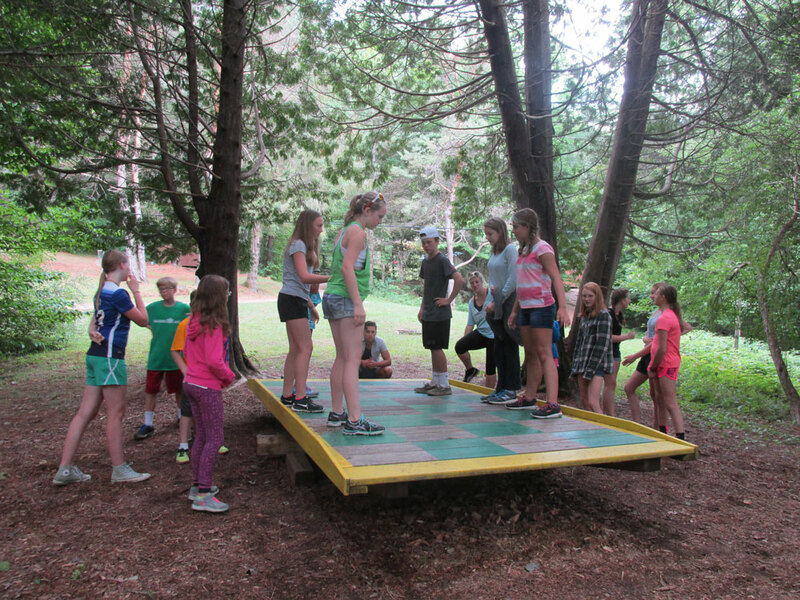 Want a real challenge and a chance to work with a group of fellow campers to find solutions to seemingly impossible tasks? 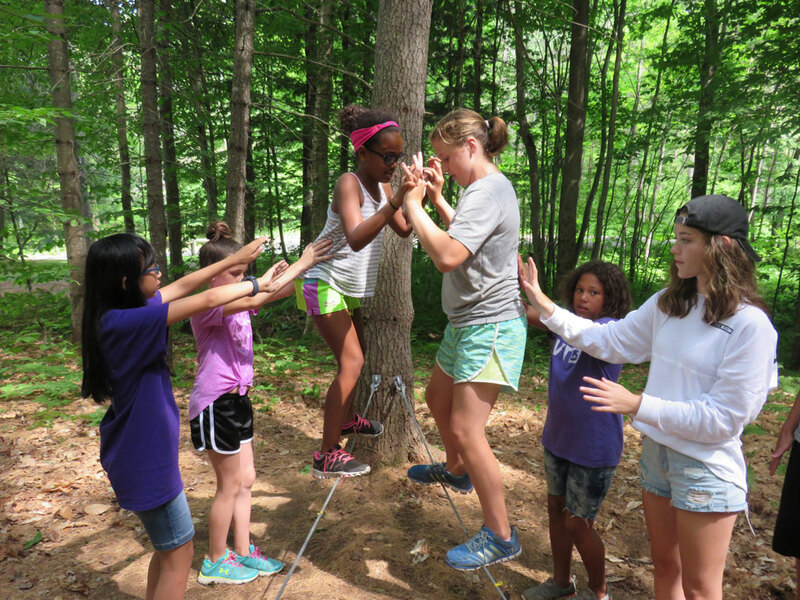 If so, the ropes adventure program is right for you. 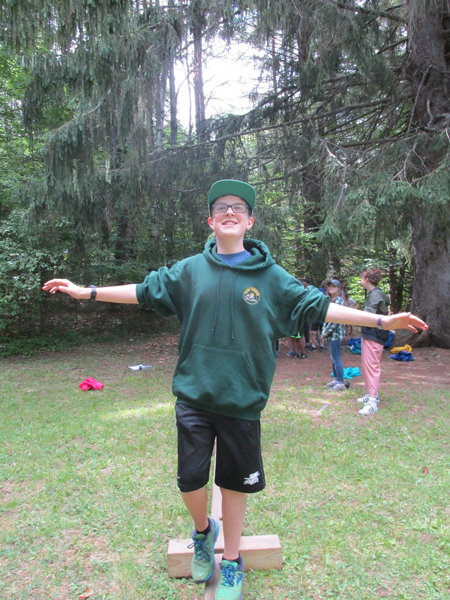 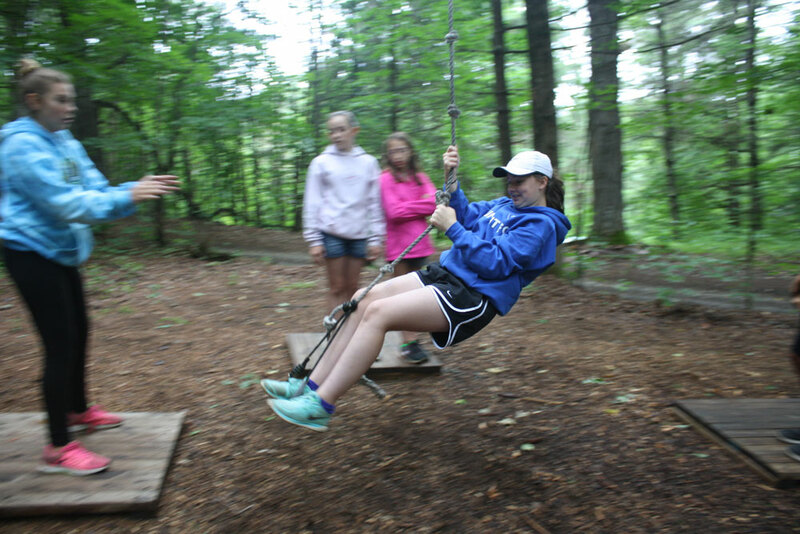 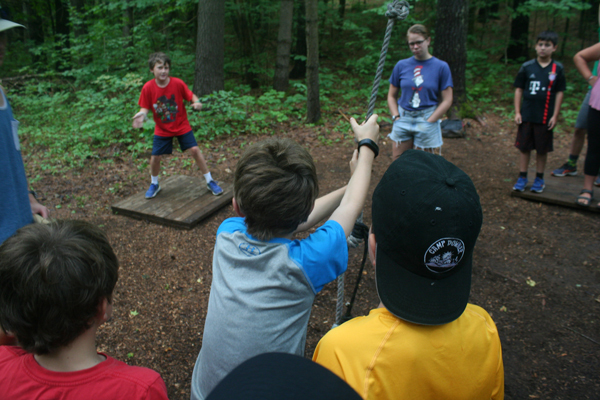 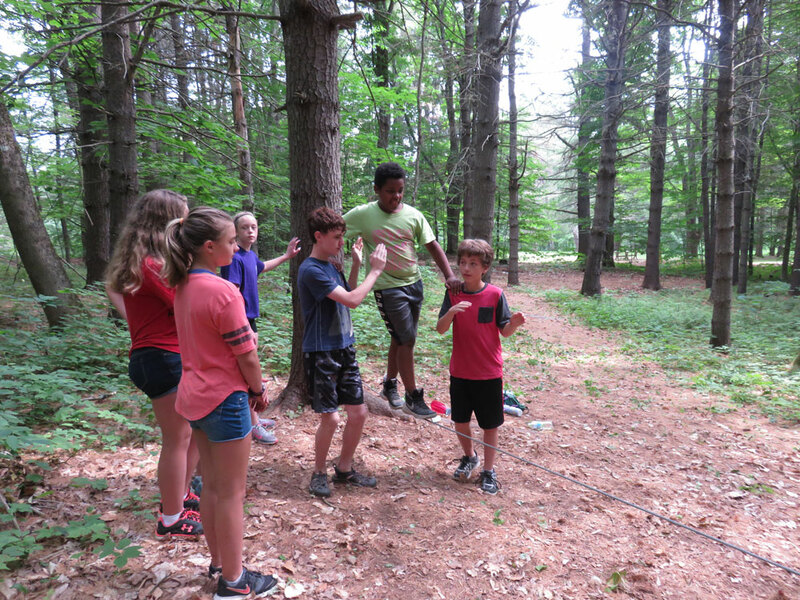 In this innovative program you and your team will work your magic on our six low ropes elements: the “Extended Mohawk Walk”, the “Nitro Swing”, the “Spider’s Web”, the “Whale Watch”, the “Wild Woosey”, and the “Full House”. 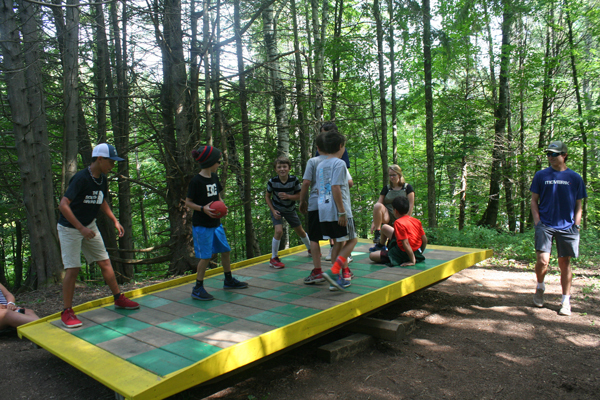 Under the watchful eye of our trained instructors you and your team will need to figure out how to conquer each challenge. 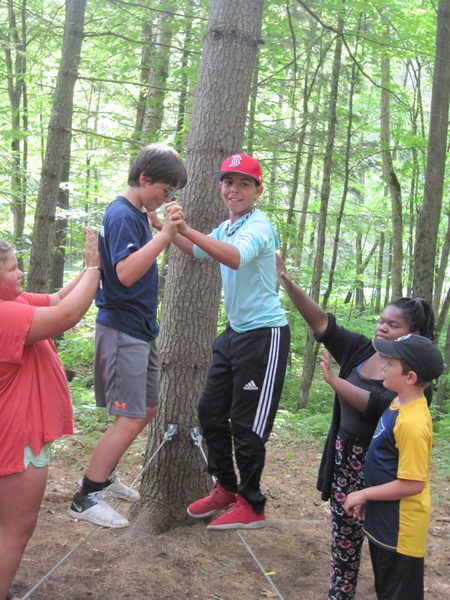 While doing so you will learn the importance of team work and trust. 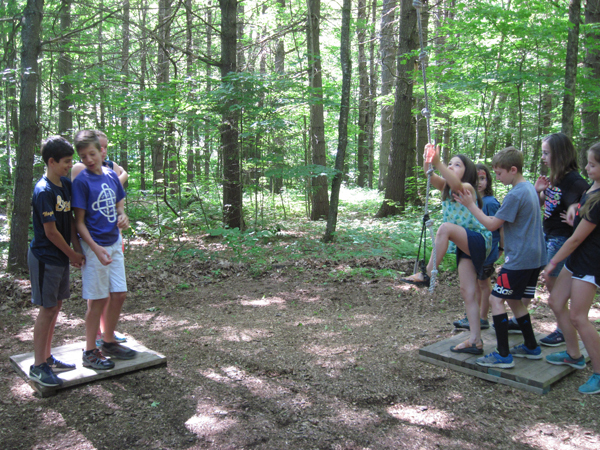 You will have fun and overcome your fears as you traverse the elements with your team mates as guides and spotters.